Bunchberry Meadows is a piece of land just west of the city, surrounded by expensive acreages. Originally, the land was owned by five families. Over the years they developed it into a private wilderness area for their own recreation. With sensitivity, thoughtfulness, and obviously a lot of hard work, they put in a network of easy trails. 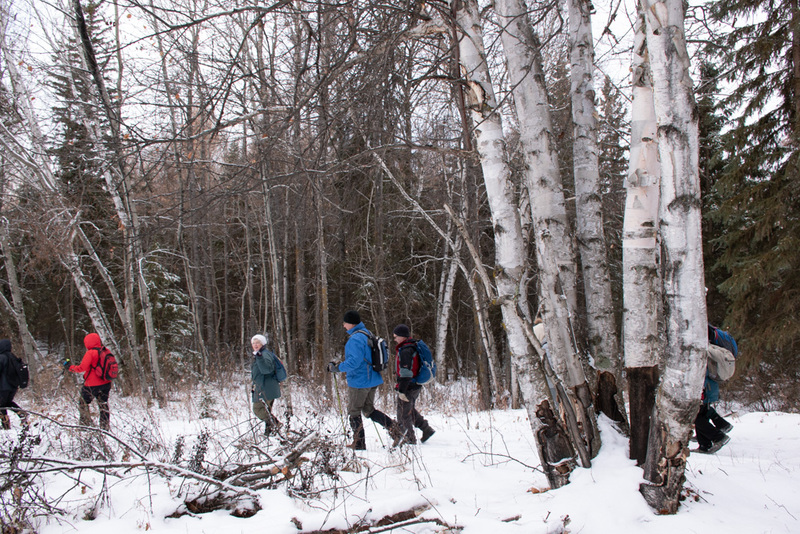 The land is now owned and maintained by the Edmonton Area Land Trust and the Nature Conservancy of Canada. As a result, today’s citizens enjoy an incredible hiking experience. 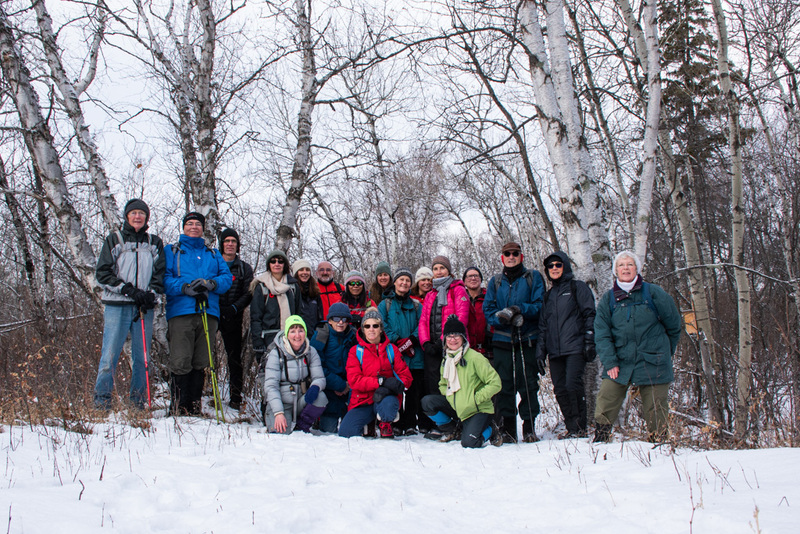 Nineteen people came out to hike this treasure, led by botanist Jerry Shaw. Up and down hills defined by ancient sand dunes, we passed through old growth birch forests, a stand of huge, unique pines that we couldn’t identify, and an alley of larches. In the open areas, we walked past meadows and strolled on berms overlooking wetlands. Early in the week, Jerry had marked the spot where he knew there was a patch of club moss (Lycopodiopsida). 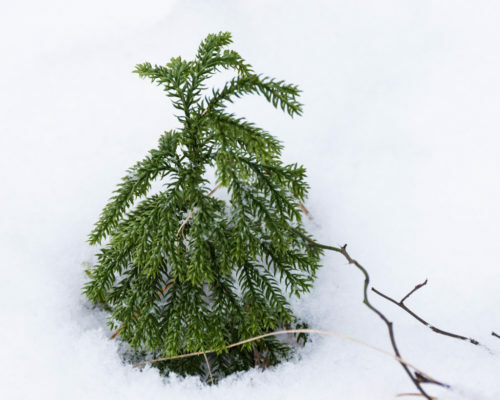 We only had to lift off the snow to view this unusual low-growing evergreen. After an 8 km loop, we arrived back at the parking lot, and ate our lunch at the row of picnic tables, in the sun.